Cycads (Class Cycadopsida) represent the most primitive seed plant living today. Cycads are also commonly known as sago palm even though it is very distantly related to a palm (Class Liliopsida), which is actually a flowering plant. Cycads are tropical or sub-tropical plants with a thick, woody trunk with a crown of large, usually pinnate evergreen leaves. 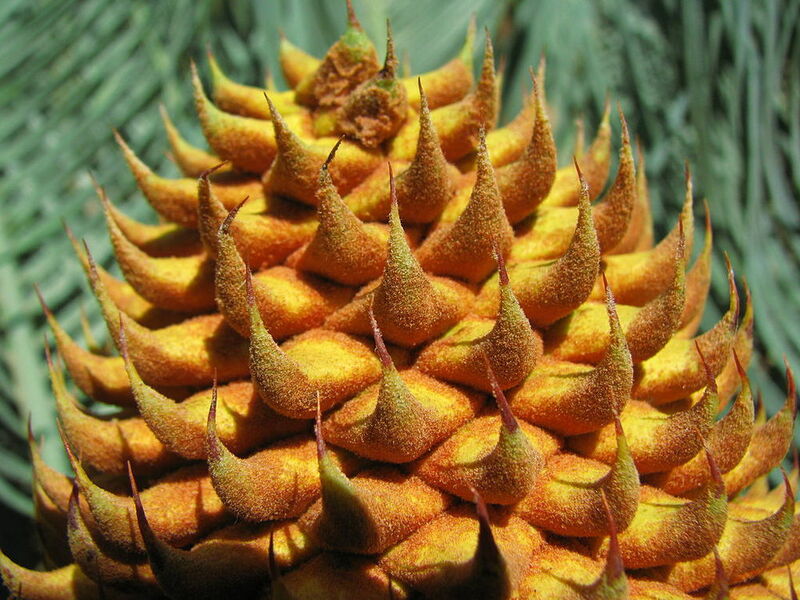 Seeds are borne in cones that emerge from the center of the crown atop the plant. The female plants of cycads produce seeds in megasporophylls (background) which are pollinated by male plants that emit pollen from cones (foreground). Cycas revoluta. Photo: Forest and Kim Star 2008. Source: Wikimedia Commons. Cycads typically live in moderately moist environments. Cycas platyphylla. Photo: tanetahi 2010. Source: Wikimedia Commons. Female megasporophylls contain the fertilized naked seeds borne from leaves. Cycas platyphylla. Photo: tanetahi 2010. Source: Wikimedia Commons. 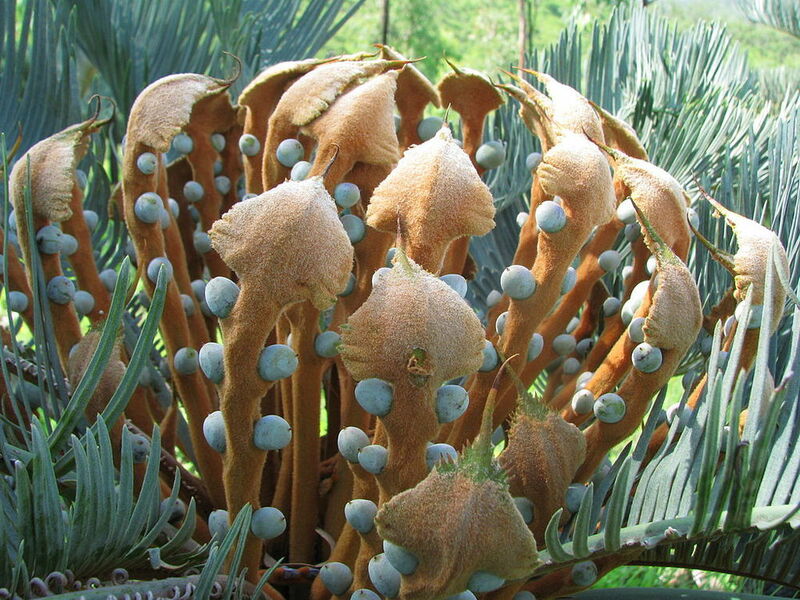 Male cones of cycads produce pollen (sperm). Cycas platyphylla. Photo: tanetahi 2010. Source: Wikimedia Commons.